Charles Dickens, the famous English author, practically invented Christmas single-handedly in his stories of fat geese, carol-singing round the Christmas tree and ghost stories. The Dickensian spirit lives on and across the UK at this festive time of the rolling year there’s a delicious wallowing in nostalgia for a time that never quite was but which certainly ought to have been. Here are a few suggestions for enjoying the spirit of Christmas in towns across Britain. 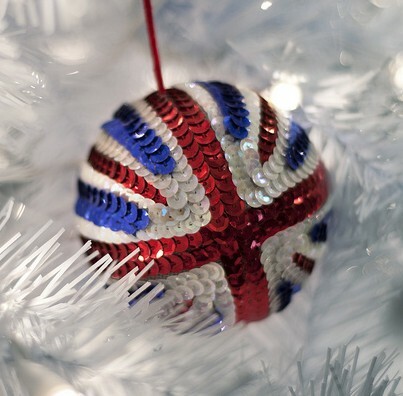 There are plenty of UK hotels on www.hrs.com to choose from in all of these cities to make your festive period stay an enjoyable and comfortable one. York in the north of England is probably one of the most attractive cities in the UK, with its great minster and neat city walls. The medieval structure of York is still so intact that the whole city is rather like a living museum, the cobbled streets lined with timbered houses and the whole of the Shambles protected under a conservation order. The great stained glass windows of the Minster make the perfect backdrop to Yuletide celebrations. The St Nicholas Fayre is one of Britain’s most popular Christmas markets, with Barley Hall the scene for costume traders, mulled wine and a great range of arts and crafts. A hotel like the York Marriott Hotel in the dead centre of York would be an ideal place to stay for celebrating Christmas here. For more information visit the York website. Edinburgh needs little introduction as Scotland’s capital city and ancient seat of royalty, with its famous castle perched high on its central crag and a great range of historic and cultural attractions, not least of which is the brilliant and varied shopping on Princes Street. At Christmas Edinburgh is packed with festive activities, including German-style markets and a Traditional Highland Village. The German markets in particular are hugely popular and atmospheric; with of course Bratwurst, mulled wine and an assortment of other imported Teutonic produce such as intricately carved candles and gingerbread on offer. After a few glasses of Gluhwein and a hot sausage you quickly start getting into the mood of the occasion. A hotel like the King James by Thistle on Princes Street would be perfect for the sights as well as the festive celebrations during your visit. For more about this fascinating city take a look at the Edinburgh website. Cardiff in Wales celebrates Christmas in some style, with the city’s lights switched on in the middle of November and a whole range of Christmas markets opening up on the run up to the big day. Arts and crafts workshops and stalls in Cardiff Bay, along with carol singing, street entertainments and funfair rides make this a great venue for families, and you can also wander along to the Wales Millennium Centre for local produce and handmade jewellery. The New Theatre plays host to ballets on ice and at St David’s Hall international ensembles such as the Russian State Ballet turn up to perform repertoire favourites like Swan Lake, The Nutcracker and Coppelia. There are also festive stage events at the magnificent Cardiff Castle, where the Traditional Victorian Christmas event is especially popular. Try a hotel like the Future Inn Cardiff Bay for a really central location during your Christmas visit to Cardiff. To find out more visit the Cardiff website. The Northern Irish certainly know how to have a good time, and Christmas in Londonderry is in many ways the highlight of the year here, with enthusiastic festive celebrations against a backdrop of Irish dancing and rivers of Guinness. This year sees the start of a great Christmas Continental Market in the German style, featuring seasonal treats and colourful shopping galore. There’ll be Swiss-style chalets, fairy lights and fir trees and a range of arts and crafts items on sale, with live music from the local talent and of course a Santa’s Grotto for the kids. The market will be open for the 3-week run-up to Christmas, from 1st to 22nd December. The Millennium Forum stages seasonal shows like Jack and the Beanstalk and other pantomimes over the Christmas period, and this year it’s a spectacular production of Snow White and the Seven Dwarves. A hotel such as the spacious and modern City Hotel Derry, located on the banks of the Foyle and a mere 5 minutes stroll from the city centre, will be perfect for spending Christmas in this wonderful Irish city.